13 August 2014: Back by popular demand, Sonata, the largest selling watch brand from the TATA Group, has launched its third edition of watches in the Super Fibre Ocean Series collection. The Ocean Series III time pieces from Super Fibre are designed especially for an adventure junkie – being water resistant, tough and stylish to the T. The watches are made with Acrylonitrile Butadiene Styrene (ABS) and Polyurethane (PU) – materials known for their high durability. 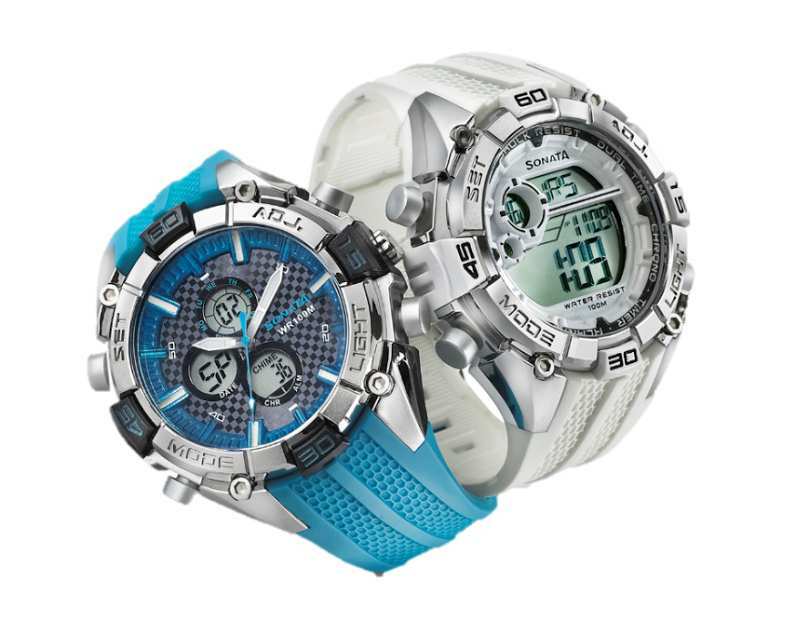 With features such as –Multi- Alarm, Day Date, Chronograph, World Time and 100 meters water resistance these are must haves for any sport enthusiast. This collection is spread over 18 variants in analogue-digital, digital and analogue styles and is available in vibrant colours like Teal Blue, Military Green and Red among others. The watches are priced between Rs. 1099 to Rs. 2099 and are available at World of Titan and other authorized multi branded outlets across the country.